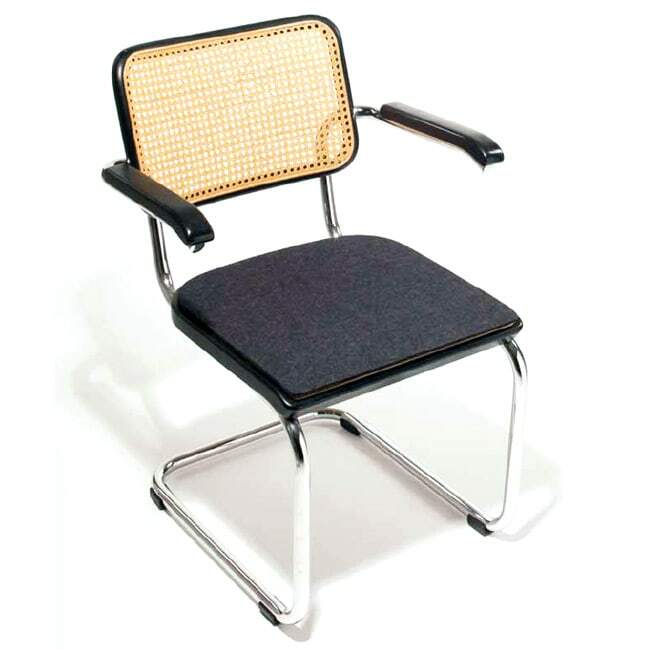 Seat cushion for the Thonet cantilever chair S 32 by Marcel Breuer. Seat pad with anti-slip coating for the cantilever chair S 32 (Marcel Breuer for Thonet). The seat cushion can be ordered either as a 5mm thick wool felt seat pad or with foam core and 3mm thick wool felt cover. Also 2 versions in high quality, vegetable tanned Italian leather are available. Optionally completely leather-covered or with a bottom of wool felt with anti-slip coating. The felt cushions / seat pads are washable by hand or can be dry cleaned. Since 2003 PARKHAUS designs and manufactures an ever increasing assortment of wool felt accessories. Do you have a question about "SFC 027 (Thonet S 32)"? How can we contact you?